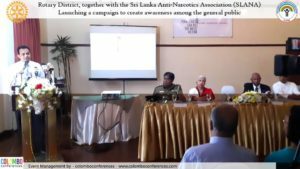 The Rotary District, together with the Sri Lanka Anti-Narcotics Association (SLANA) is launching a campaign to create awareness among the general public. Campaign Objectives were to discourage the first use of drugs and experimenting / trying out using drugs and to awaken parents to protect their children from the drug menace. 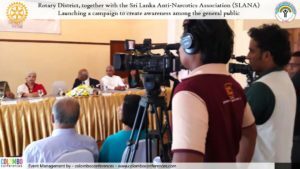 The Press conference was organized by Colombo Conferences. 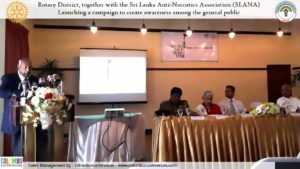 09 reasons why you should not select Sri Lanka as your next event destination? We pride ourselves on commitment to professionalism, and delivering events with high production values, and creativity.